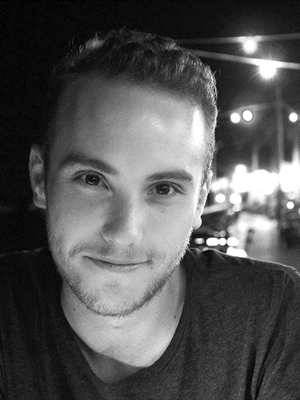 Fraser has been working as a video editor and motion graphics designer for 6 years. Starting in the STW Group mailroom he quickly moved up into the Junior editor role in the TV production department at Ogilvy Sydney. Working for numerous large clients, Fraser honed his skills across wide variety of different software, including Final Cut 7 and Motion, before moving onto the Adobe Creative Suite platforms. Most recently the Senior Editor at DDB Sydney, Fraser has a deep understanding of the inner workings of Agency life. Throughout the years working at large agencies he has worked with clients such as KFC, IBM, Vodafone, Telstra, Westpac, McDonald’s, Volkswagen, Škoda, Nestlé, Arnott’s and Coca-Cola, just to name a few. This has resulted in some Award winning projects such as #macitbetter which won in its categories and Spike, LIA and D&AD. Plus, as Editor and DOP of the Sydney Opera House #comeonin campaign Fraser helped bring home gold, silver and bronze from the 2016 Cannes Lions. Whether it’s a TVC, online video content, internal/ corporate videos or a good ol’ fashioned Hype Reel, Fraser has a passion for creating great visual storytelling. He loves working on a variety of different projects and is always open to new challenges.